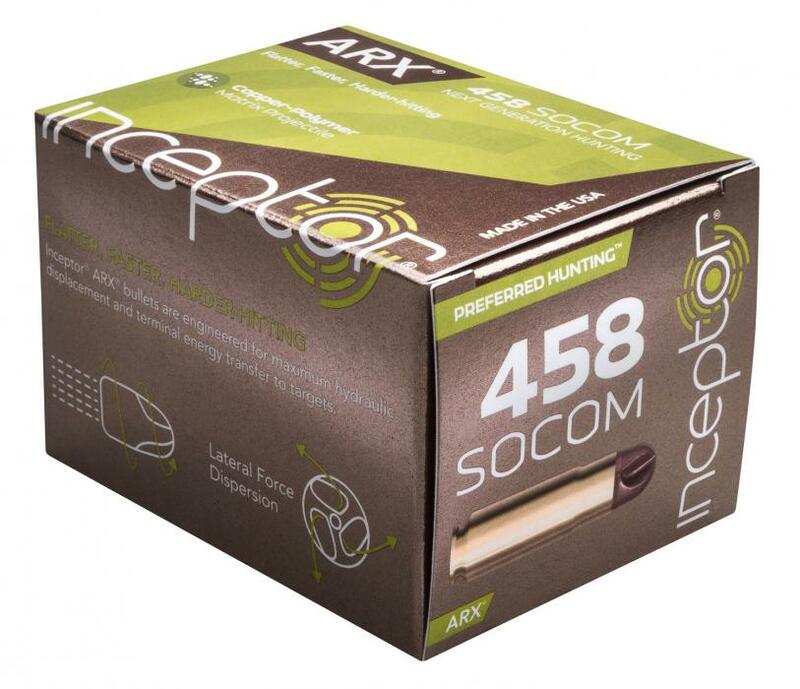 Inceptor's Preferred Hunting line, features the patent-pending Inceptor ARX projectile. The non-expanding projectile is light, fast and has low recoil while retaining a flat trajectory. Its fluted design ensures exceptional reliability and terminal performance while diminishing the possibility of over-penetration. 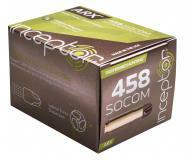 This 458 SOCOM ammo has a 200 grain weight and comes packaged 20 rounds per box, 10 boxes per case.